Property 7: Megève - Demi Quartier - 3 bedroom apartment in a chalet - Ski Out! 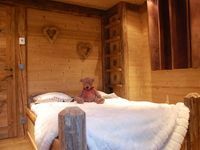 Property 20: Comfortable apartment, 4 people, balcony, wifi, in the heart of Megève! Ideally located charming apartment . Property 34: Ideally located charming apartment . 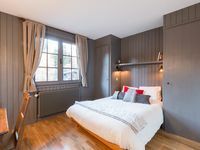 Apartment/Flat, 2 rooms, in typical "chalet savoyard"
Property 44: Apartment/Flat, 2 rooms, in typical "chalet savoyard"
This is a very nice apartment, extremely well located both for skiers or hikers, just a few minutes by car from the ski lifts at Combloux. Nicely appointed, it has everything anyone could need for an extended stay, but the best is the majestic view of the Mont Blanc and surrounding peaks, right from the living room balcony. The owner is super friendly and very attentive to the renter's needs.